/INS. Iggesund Paperboard’s parent company, the Holmen Group, has gained a place on the Global 100, an index of the hundred most sustainable corporations in the world. Holmen ranks 21 and is the only company from the forest industry on the prestigious list. The Global 100 list of the world's most sustainable corporations is announced each year at the World Economic Forum in Davos, Switzerland. The index has been published by the Canadian analysis firm Corporate Knights since 2005 and is based on an overall assessment of how a company handles issues concerning resource management, employees and financial management. Almost 5 000 companies have taken part in the assessment, with the hundred best featuring on the Global 100 index. "We are both proud and pleased to be on the Global 100 list as one of the most sustainable companies in the world. Holmen has taken a focused approach to sustainability issues for many years now. Being recognised and ranked highly by leading analysts is an acknowledgement of this work," says Lars Strömberg, Director of Sustainable and Environmental Affairs at Holmen. "This ranking is the result of dedicated work and the strategic choices and investments we've made for the future, which have reinforced our sustainability profile. There is no doubt that the forest has good prospects as a raw material, especially amid a transition to a bio-economy in which products made from fossil raw materials are being replaced with renewable alternatives," comments Henrik Sjölund, President and CEO of both Holmen and Iggesund Paperboard. 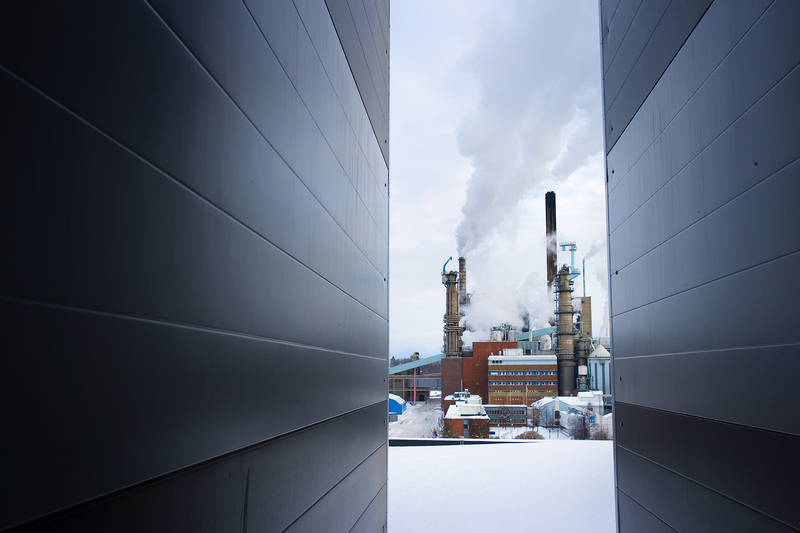 Reaching the position on Global 100 is especially important for Iggesund Paperboard. The company’s products, Invercote and Incada, are targeting the high end packaging segment where a good track record in sustainability is a valuable asset. “We have been ranked high on indices like the UN Global Compact Index, Carbon Disclosure Project, and now the Global 100. To repeatedly be acknowledged by these well renowned indices clearly shows that we are among the most sustainable companies in the world and is a recognition of the holistic and long term approach that characterizes our sustainability work”, says Johan Granås, Sustainability Communications Manager at Iggesund Paperboard.